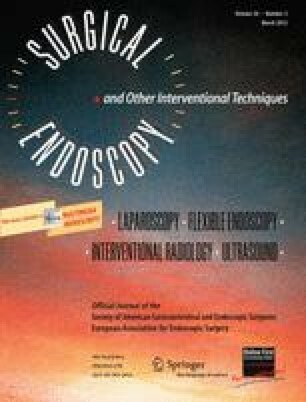 Natural orifice translumenal endoscopic surgery (NOTES), although in its embryonic phase, is currently experiencing important developments. The technique has been successfully applied for cholecystectomies and appendectomies. However, several doubts exist as to the technical limitations and feasibility of NOTES in other clinical settings. The authors have performed totally transvaginal colon resections in a sheep model. Although completion of the surgery was possible through the transvaginal route, the addition of a transumbilical laparoscope was used as an added safety measure. Totally transvaginal resection of the sigmoid colon was performed for two sheep with no intra- or postoperative complications. Totally transvaginal resection of the colon (pure NOTES) is feasible in a sheep model. Andrzej L. Komorowski declares receiving course, congress, and travel fees from Ethicon Spain and Karl Storz Germany. Francisco Alba Mesa, Antonio Amaya Cortijo, Jose Manuel Romero Fernandez, Miguel Angel Sanchez Hurtado, and Francisco Miguel Sanchez Margallo have no conflicts of interest or financial ties to disclose.